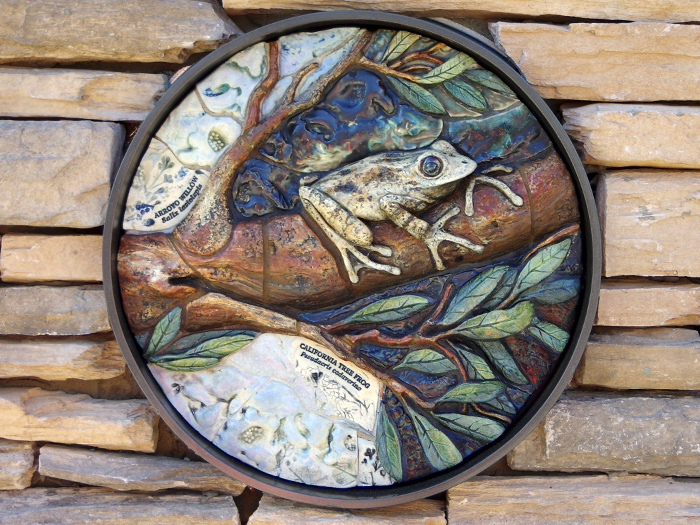 Located in Alpine, California, the sculpted ceramic art pieces created for the Alpine Library celebrate the community's natural environment and history. 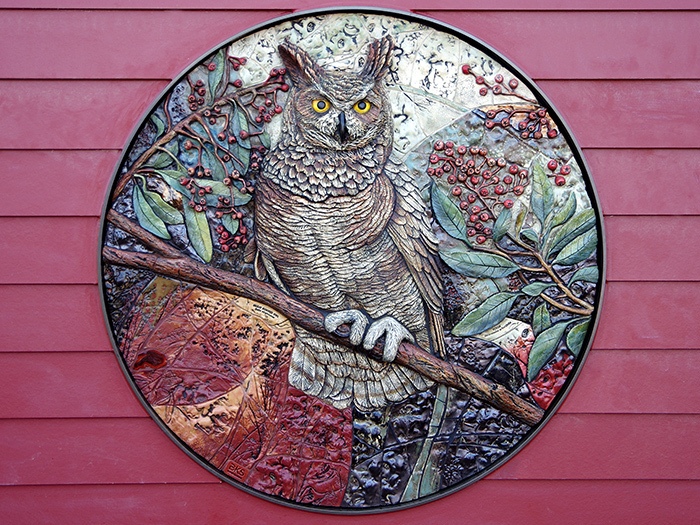 The art consists of one 2-1/2' tall x 15' long piece, and eight circles ranging from 1' to 3' in diameter. 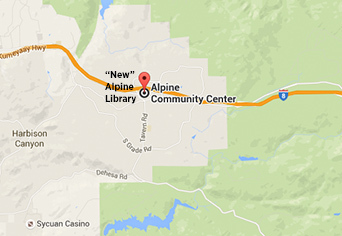 Betsy worked closely with the Friends of the Alpine Library and the Alpine Historical Society to gather information for the project. 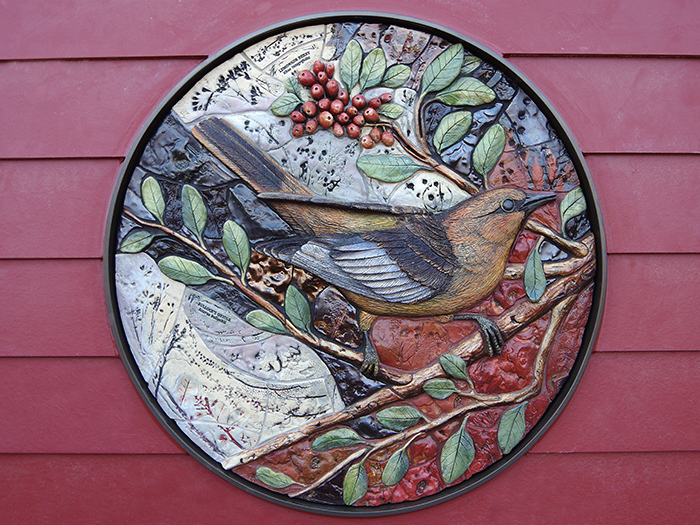 She also worked closely with the county, project architects, and contractors to insure that the art and architecture combined seamlessly. 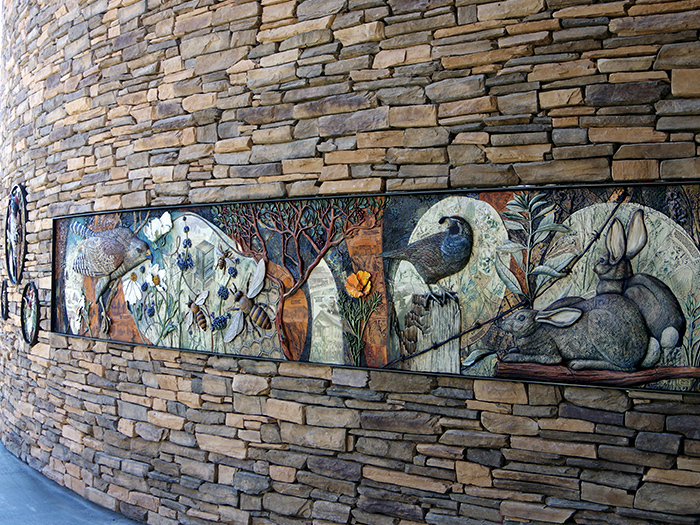 This was particularly critical when sculpting the art for the library’s curved front stone wall. 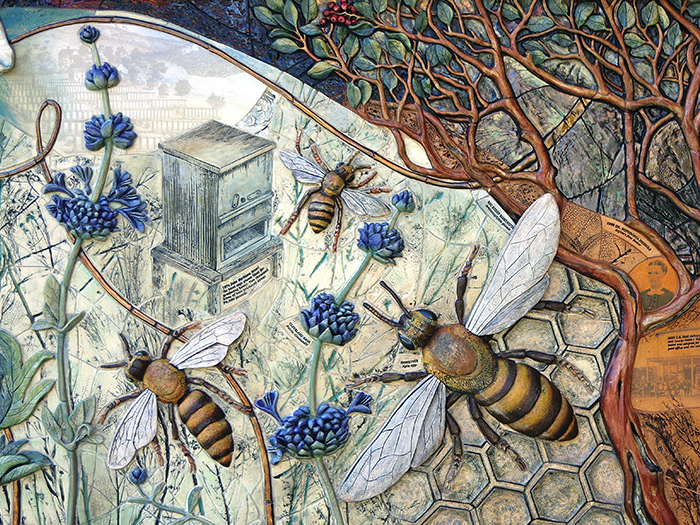 Thousands of hand-sculpted and screened ceramics combine to form the large murals. 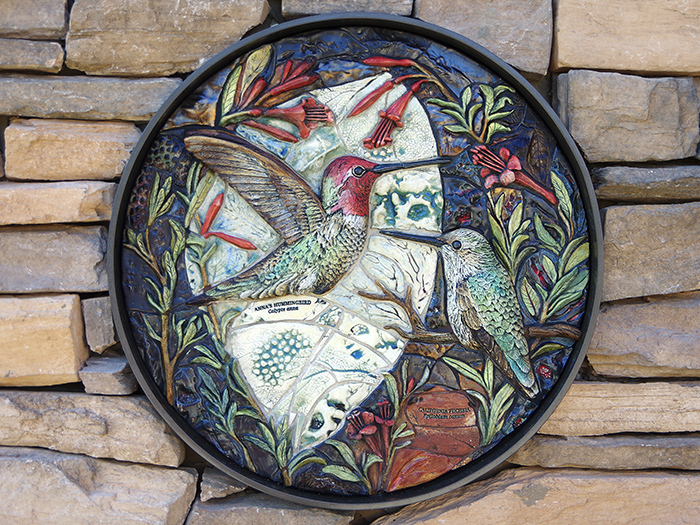 Historical images and facts, dating from the 1700s onward, are fired onto pieces used in the background. 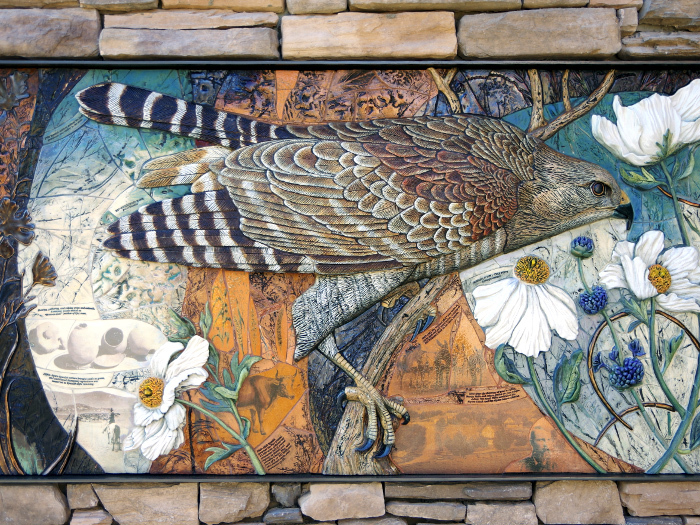 In the feature piece, the high-relief ceramics depict a Red-shouldered Hawk hunting. 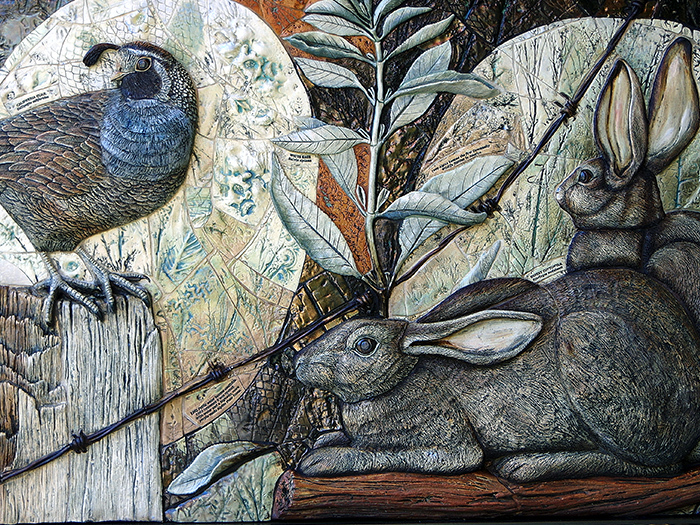 The California Quail and Cottontail Rabbits are alert to danger while hiding among the White Sage and Manzanita.